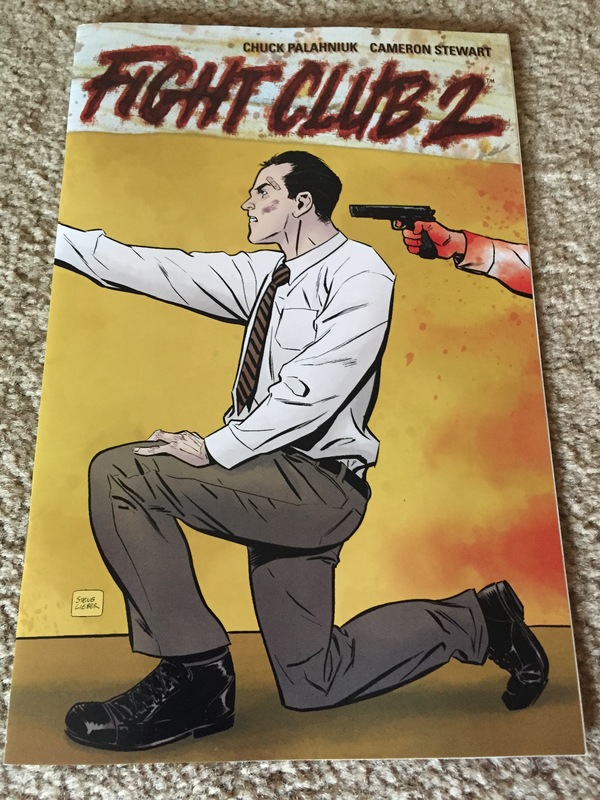 Though the list of Fight Club 2 #1 variant covers has gone out, this new one wasn’t actually on it. Things from Another World, a Portland, Oregon, based retailer with several brick-and-morter stores on top of its huge TFAW.com, has released a unique variant cover that you can only get from them. Currently, this exclusive variant cover is only available in-store at TFAW locations and not actually on their website. This cover was actually done by Steve Lieber as a promotion for one of the largest events that TFAW will have all year: the Chuck Palanhuik comic signing. This coming Friday, June 6th, Chuck Palanhuik and Steve Lieber will be signing comics at the Portland TFAW location from 3-10pm. 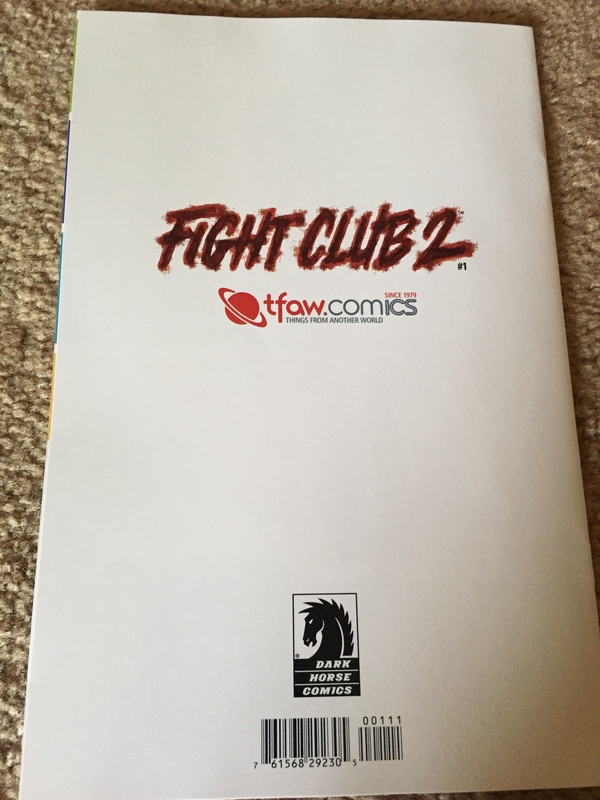 This signing is limited only to people who purchased their copy of Fight Club 2 #1 from TFAW, who got a special sticker on their receipt that they must show. They are also only limited to two comics to be signed, which will be strictly enforced. This is an interesting event given that Dark Horse Comics, also based in Portland, own TFAW, which gives them a back and forth for the event and the variant cover. Hopefully TFAW will release this exclusive variant cover on their website soon, and until then you can expect that it will be going for outrageous prices on the secondary market. In store it is only $5.99, so try to make it to Portland!